Flying can be a stressful experience for any traveler, but older adults in particular often face a variety of additional psychological and physiological challenges that complicate their ability to travel. Deep vein thrombosis (DVT) is one such challenge. A potentially life-threatening condition, older adults are at a higher risk of developing DVT within the cabin than is the average passenger. 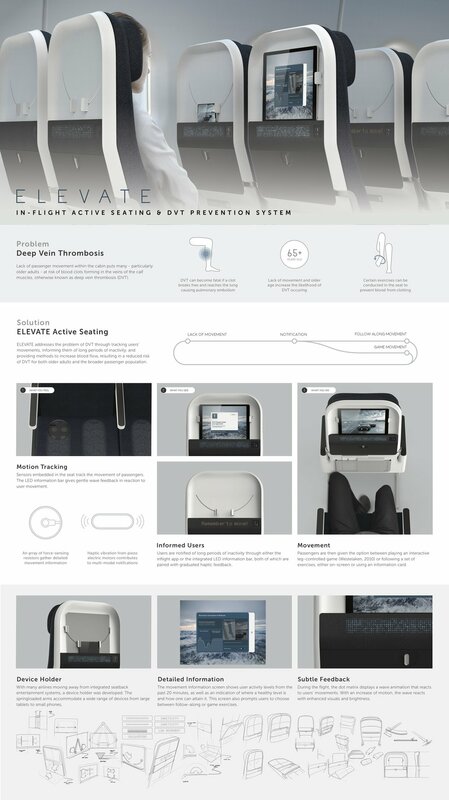 ELEVATE aims to address this issue through tracking users’ movements, informing them after long periods of inactivity, and providing movement methods to increase blood flow, resulting in a reduced risk of DVT for both older adults and the broader passenger population. This smart seating system aims to reduce barriers to flying while ensuring a more enjoyable and accessible experience for older adults while travelling. I am an industrial designer driven by the prospect of creating positive change through design. 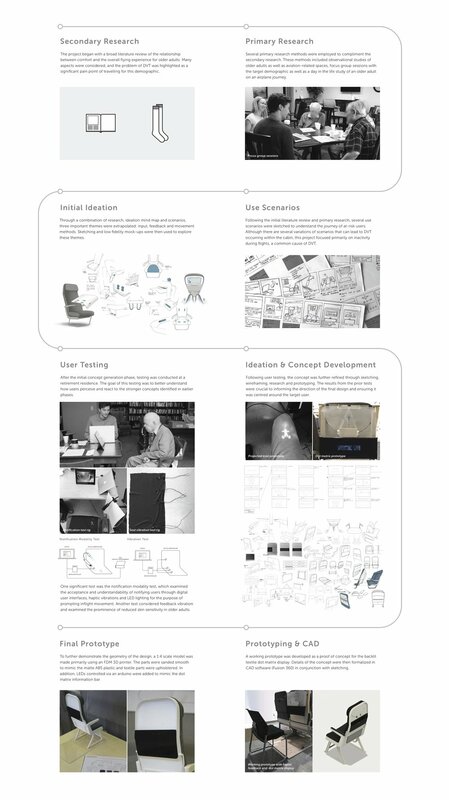 I strive to craft unique product experiences through user-centred design with an emphasis on sustainability.